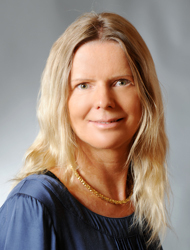 Vera Nünning is a professor of English philology at Heidelberg University. So far, she held guest professorships in Zaragoza, Lisboa and Helsinki and a fellowship at the Marsilius Kolleg Heidelberg. In addition, Nünning has recently been involved in the foundation of the Türkisch-Deutsche Universität in Istanbul. She significantly contributed to the current reorientation of Anglophone Studies along cultural studies lines. Her publications on cultural studies and narrative discourse have significantly influenced research across both national and disciplinary boundaries.